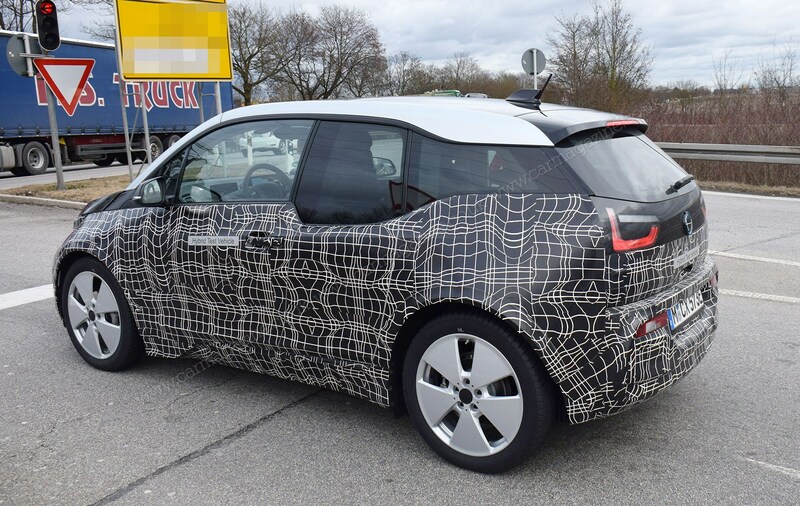 Munich is busy preparing the new 2018 model year BMW i3, the first major facelift in BMW’s ‘i’ range of electrified cars. In BMspeak, this is an LCI, or lifecycle impulse. We’ll just call it the mid-life facelift or upgrade, which will be accompanied by a fresh look and mild engineering changes to boot. This is classic facelift territory. 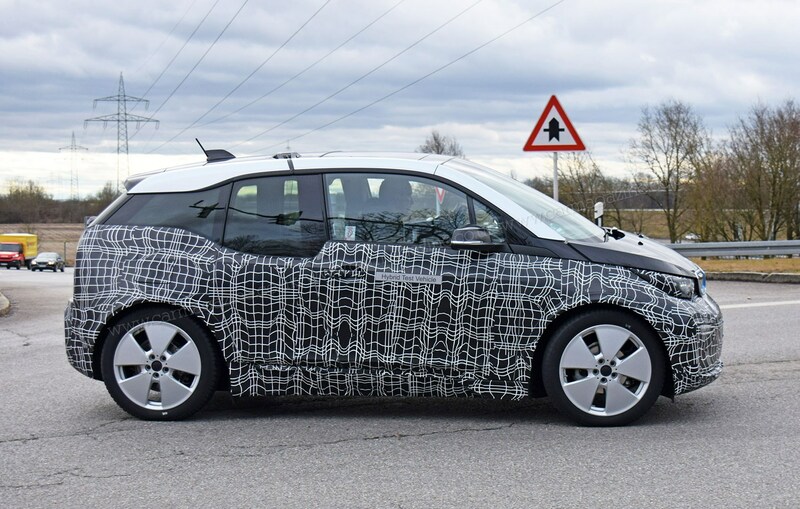 Our spy photos depict a camouflaged car on test outside Munich and you can make out a few changes to distinguish the scrubbed-up electric mini, which is due to be unveiled at this autmn's 2017 Frankfurt motor show. At the front end are new headlamp graphics; the lights are believed to be upgraded to full LED items for brighter illumination at night time. Note also the repositioned foglamps lower down. The rear end also has new bumper treatment, while the tailgate appears to be no longer styled as a single pane of glass. 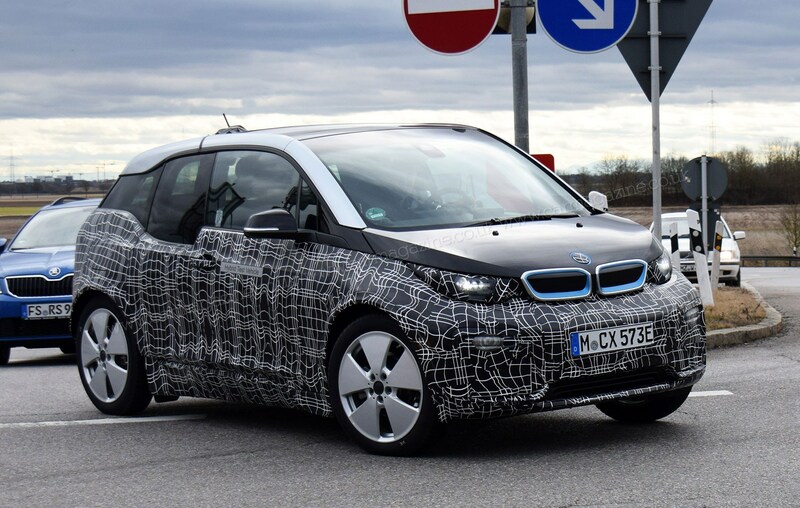 Subtle changes, but ones which combine to give the 2018 i3 a crisper, fresher style. 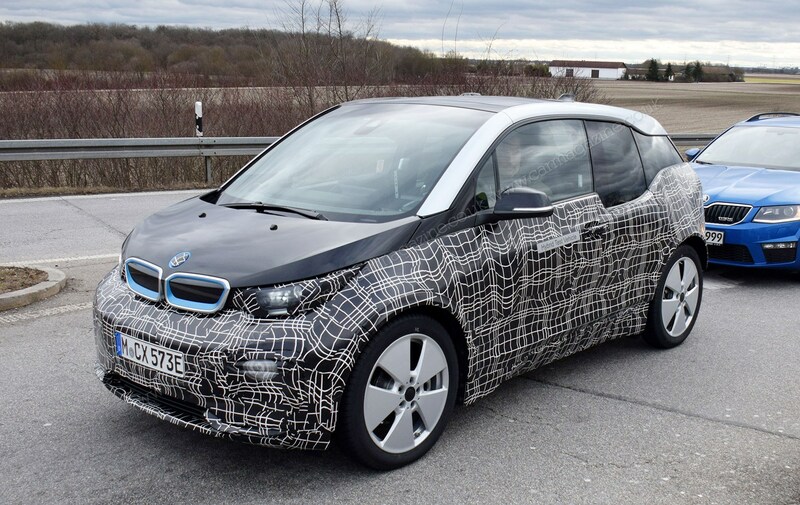 What about inside the new i3? 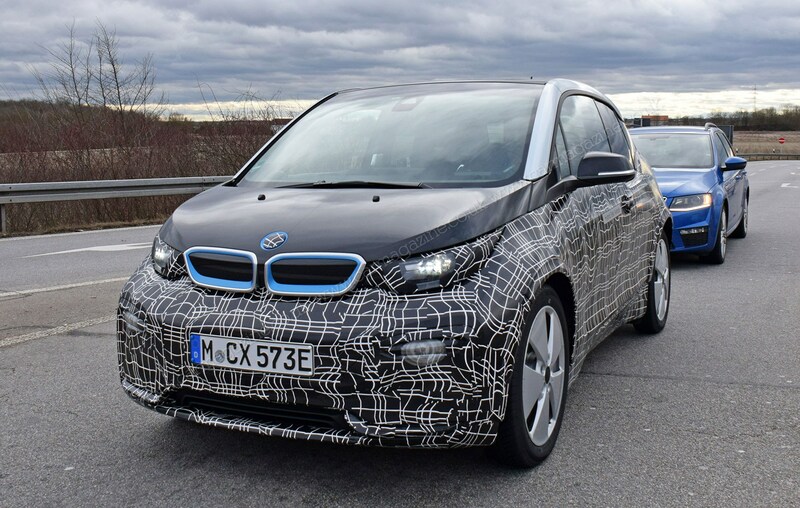 No spy photos of the interior yet, but word is that the baby BMW will be treated to the latest sixth-generation iDrive, dubbed ID6 by insiders. That will bring the latest touchscreen/rotary controller/gesture control you'll see in the new 5-series, bringing the latest connectivity and digital services. 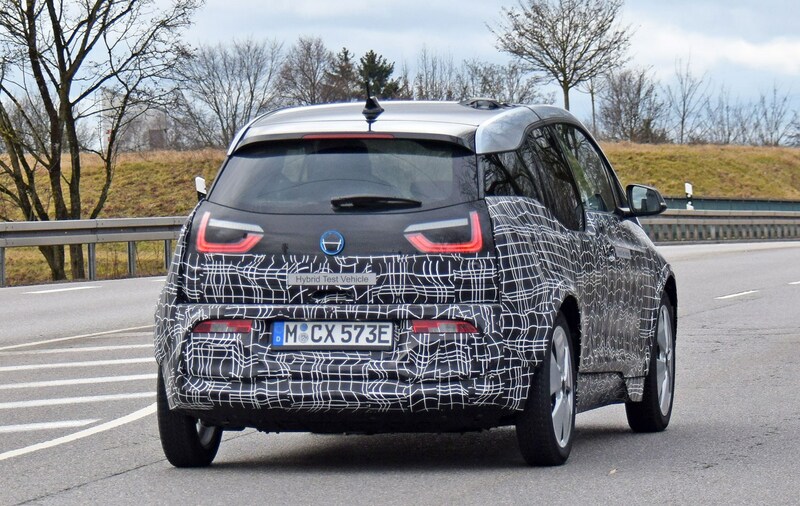 Our spy photo captures a regular i3 94Ah model on skinny tyres; but BMW is also preparing an i3 S with a more performance bent. The two-tone bodywork will flow along the bonnet panel and up into the A-pillar and roofline. Expect an electric motor tuned for more intense bursts of torque, faster acceleration claims and modest handling improvements thanks to wider tyres in place of the super-thin rubber fitted to regular or garden i3s. Our sources suggest the extra grunt comes from new control electronics, rather than a more powerful battery or motor. Could this become the world's first mainstream performance electric hatch?